We’re back with another of our 8 Great Lists. 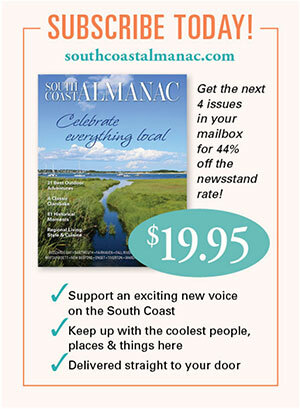 Here, we bring you 8 special South Coast happenings in December. There’s SO much going on this month that it was very hard to keep it to eight (but we did, because we’re creatures of habit and because 55 doesn’t rhyme with “great”). 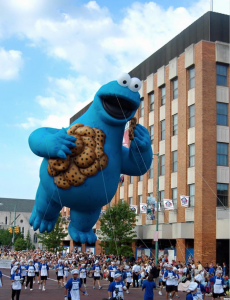 Fall River knows how to throw a great holiday parade: giant parade balloons; Santa and Mrs. Claus arriving by helicopter; Clydesdale Horses; 30 parade floats; 29 marching groups; 17 bands; children participating from every school in the city; and more! The 33rd annual event is on Saturday, December 2. Santa arrives at 12:45. Parade begins at 1:00 from Kennedy Park down South Main Street, ending at the corner of Central and Bedford Streets. See here for more information. UMass Dartmouth, in collaboration with the Astronomical Society of Southern New England (ASSNE), makes it easier for us to follow Stephen Hawking’s advice this weekend. 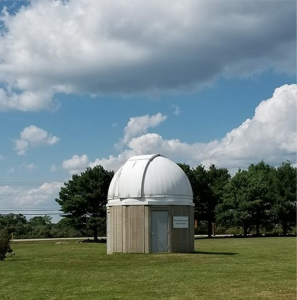 On Saturday, the UMass Dartmouth Observatory throws its doors open to the general public for a FREE night-sky viewing session. The event depends on a clear sky. Check here for more information, including how to find out if there is a weather cancellation. Saturday, December 2 at 7 p.m. The Observatory is located in the field to the right of the main campus entrance off Old Westport Road, North Dartmouth. 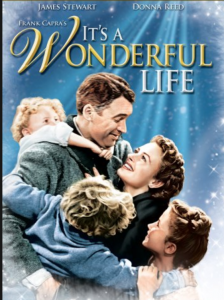 After the City of New Bedford tree lighting ceremony, Mayor Mitchell is inviting folks back to the Zeiterion Theater for a FREE showing of the holiday classic. If you haven’t seen it, you must. If you’ve seen it 99 times already, you should see it again. Zeiterion Theater, 684 Purchase Street, New Bedford. No tickets or reservations needed. More info here. There’s a lot of things to do in December. But you know what’s most important? 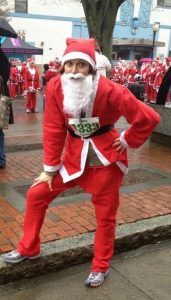 Completing a 5K in a Santa suit! Because you’ll be surrounded by a lot of fun people who don’t take running entirely seriously. And because you’ll burn some calories for a season of eggnog, hot chocolate and cookies. “But I don’t have a Santa suit,” some of you are saying right now. No worries (and no excuses) — the suit is included with registration! Participants are encouraged to bring a wrapped toy for those in need. Saturday, December 9, 2017.With a 1:00 p.m. start time (12:30 for those under 14 years old).Corner of MacArthur Drive and Union Street in New Bedford. Click here for more information and to register. The only thing better than snooping around other people’s houses is doing it when the houses are decorated to the nines. You can do this in Fairhaven, Marion, and New Bedford on the weekend of December 9-10. Enjoy the architecture, the interiors, the festive airs and the community spirit (the New Bedford and Fairhaven tours support historic preservation; the Marion tours support community scholarships). The New Bedford House Preservation Society hosts the New Bedford tours. Candlelight tours (from 4 to 8 pm) are on December 9 and an afternoon tour (from 1 to 5 pm) is on December 10. More info here. The Sippican Woman’s Club hosts the Marion tour on Saturday, December 9 from 10 am to 4 pm. Start from Handy’s Tavern, 152 Front Street, Marion and end with Tea at St. Gabriel’s Episcopal Church from 2 to 4 pm. More info here. The Fairhaven Historical Society hosts the Fairhaven tour on Sunday, December 10 from 1 to 4 pm. Start from Fairhaven Academy, 141 Main Street, Fairhaven. More info here. The National Audubon Society organizes the nation’s longest-running citizen science bird project. 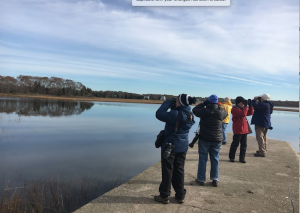 You can be part of its annual Christmas bird count this year with the Nasketucket Bird Club. The club hosts the count, followed by a potluck. Contact Justin at [email protected] or 774-207-8515 for more information. December 16. Meet at Park & Ride, 87 North Street, Mattapoisett at around 8 am (call or email Justin for an exact time). See more about Nasketucket Bird Club here. We have less than 9 hours and 10 minutes of daylight here on the South Coast on the winter solstice. 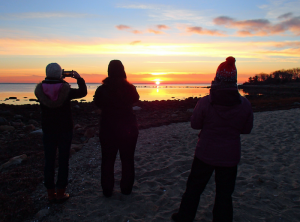 Make the most of that daylight by joining the Buzzards Bay Coalition to enjoy a spectacular sunrise walk on West Island. 613 Fir Street, Fairhaven. Thursday, December 21, 2017 from 6:30 to 7:30 a.m. For more information and to register, click here. 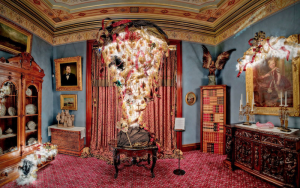 The annual open house at the Fall River Historical Society features spectacular holiday trees in each of the historic Victorian mansion’s rooms. 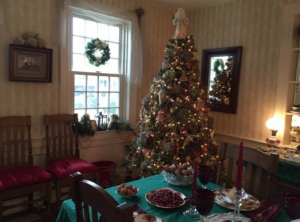 The trees are decorated with different themes and in unexpected ways and have been featured in Victorian Homes magazine, the Boston Globe and WCVB’s Chronicle. Follow the visit with high tea at the Historical Society’s Easton Tea Room. The open house runs from November 18 to December 30 and admission is free. (holiday hours: weekdays, 9 a.m. to 4:30 p.m.; weekends 1 to 4:30 p.m.). For information about the tea room, read more here. This entry was posted in Christmas, Holidays, Things To Do, Uncategorized and tagged in astronomy, audubon, birding, holiday decorating, parade, santa run.